Big freebie, free range and forever free – just 3 of the great free bingo games waiting for you to play at Cheeky Bingo. Part of the oooh cheeky boom boom! 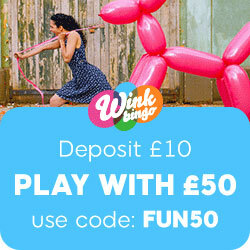 Play the big freebie for free – win £50! Play the free range games for free and win £25! Better still – log onto Cheeky Bingo and check out the cheekies – ie the cheeky winners! Lots win in the middle hundreds of £s while others win in the high hundreds of £s and over – ie in the thousands of £s! You can choose from chat games, 75/90 ball bingo games, pre-buy games, progressive jackpots, slots and casino games and also better bingo! Simply click on the diary icon to get a good idea of what’s happening, which day and what time. Take that cheeky peak – see what special bonus days are on the go and see the reminder about regular events – amongst other things! Then click on the particular day you are curious about – or click on every single day of the week to see what suits you best! Monday’s you will see 1TG and 2TG games playing in the chubby cheeks room as well as ball breakers. Tuesdays sees high five games, that bingo game with a 5 tastic twist and that ever popular cocktail hour (or should we say hours as it goes for 3 hours) between 8pm and 11pm. Bingo on the drink patterns to win! There are pointers and reminder about other events, such as Friday frenzy, jackpot pyramid, party night and the £100s club too. The Cheeky Bingo weekly specials program is always excellent value for you too. Ranging from cheeky chest, to guaranteed jackpots, to Cheeky’s prize pick – to the dip, cash crazy, the jackpot pyramid and the party night. This entry was posted in Online Bingo News and tagged Cheeky Bingo on August 27, 2012 by SuperAdmin.